"This day and age it's very difficult to find a company whose crew shows up on time every day, is polite and courteous and actually goes out of their way to keep the customer informed throughout the entire project. Hopefully I'm never in a situation to have to hire them again, but I would do so in a heartbeat." 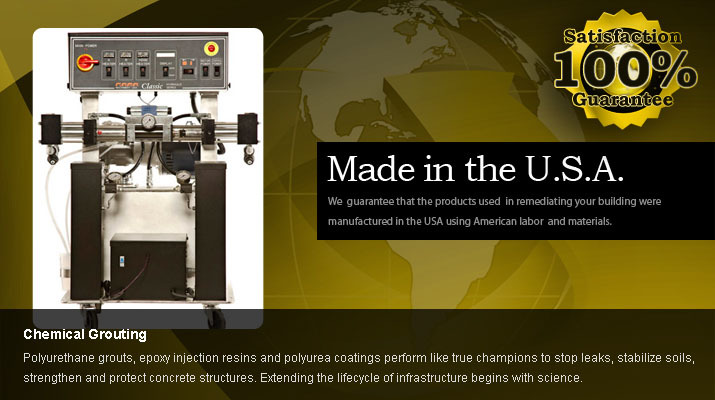 Our local, American made product solutions will not only remediate your structure, but lift up the local economy. Global Sinkhole Solutions has become one of the fastest and most innovative companies in the world today. 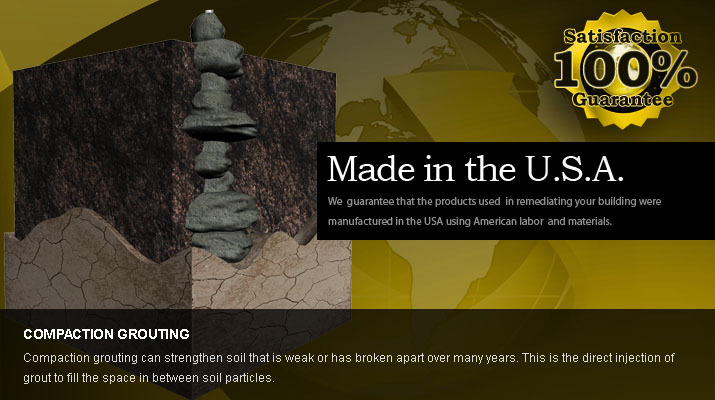 Global is setting the bar and raising the standard in the soil stabilization business striving to give our utmost so that you receive the highest in customer satisfaction, products, and service. 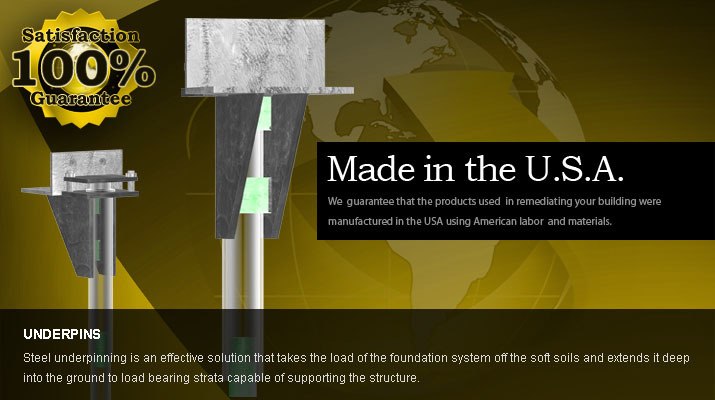 New advancements in technology coupled with a high standard of professionalism that is unmatched has excelled Global to be the premier leader in foundation repair. 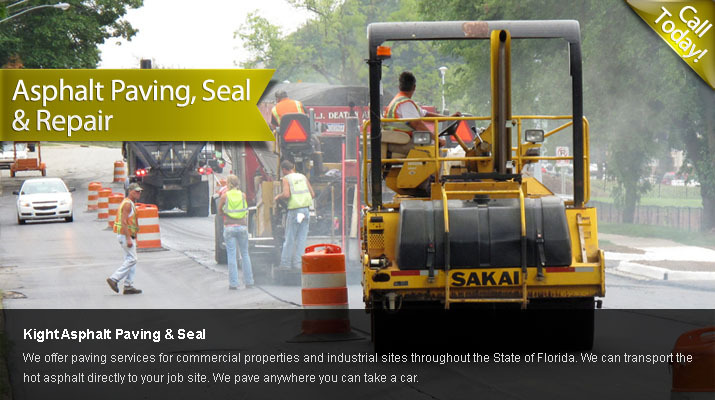 We utilize a locally owned and operated sinkhole repair product manufacturing company with over 20 years of experience. 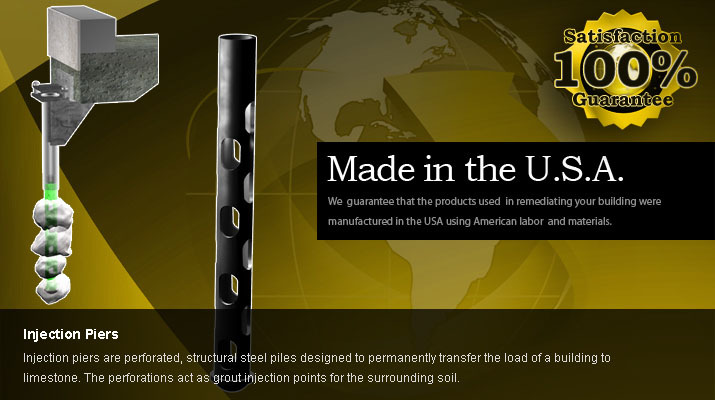 They strive for the highest quality with the best products on the market and using American Steel. 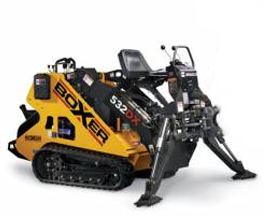 Local manufacturers mean that our clients can expect fast and efficient service for every aspect of compaction grouting and underpinning installation.